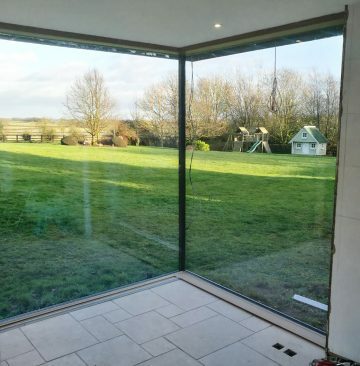 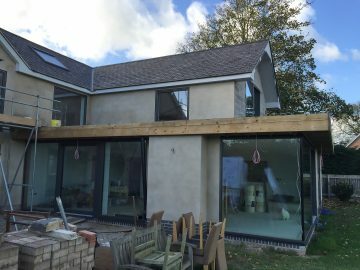 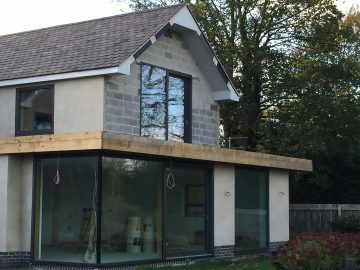 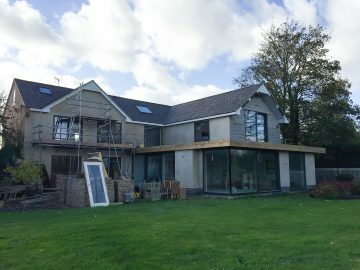 We don't have many images of this project yet, but these show how effective the glass corner technique can be. 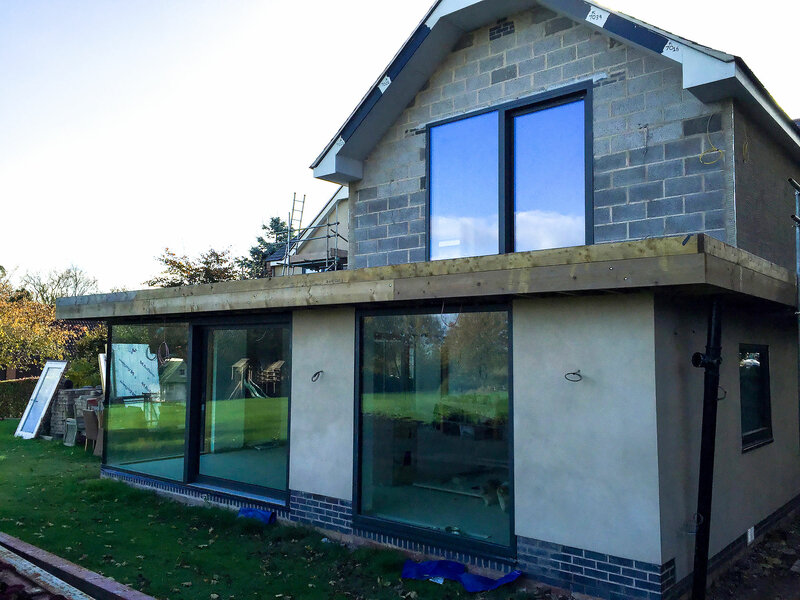 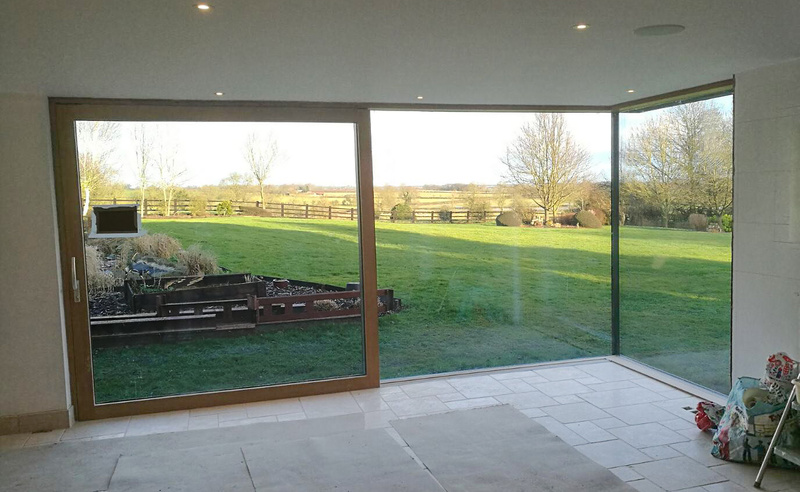 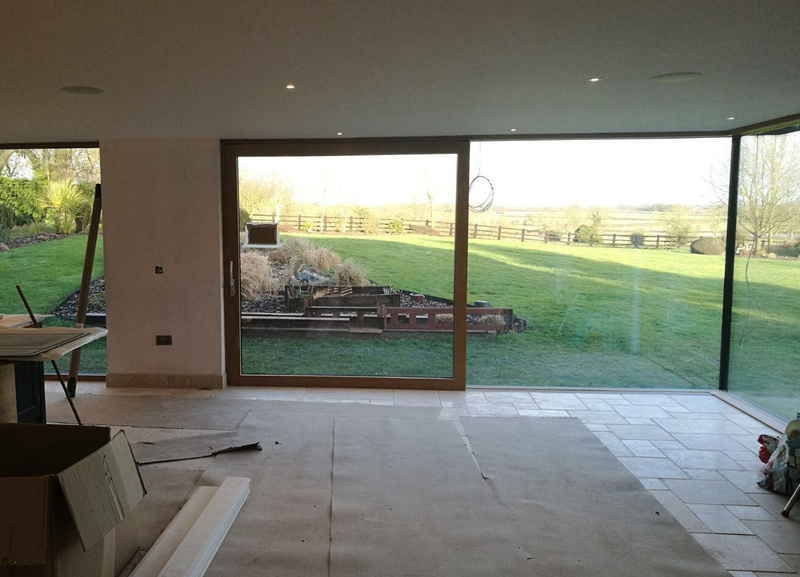 The doors are HS330, anthracite grey aluminium on the ouside and solid oak on the inside, triple glazed. The thermal perfomance for this glazing is imressive with a calculated Uw-value for the whole assembly of 0.83. 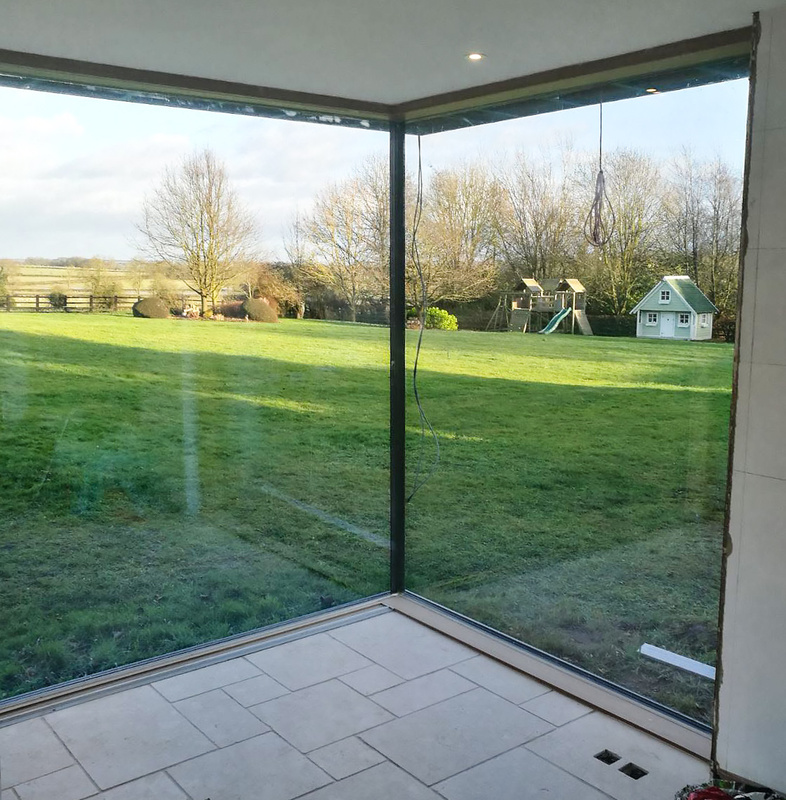 The KF410 windows have a Uw value of about 0.75.